Convey critical information, record vital information with authoritative high end White Clipboards. Clipboards and clipboard folders; Use in office, medical, education and industrial engineering construction job sites. Project Managers please look at Crane�s oversize clipboards. clipboard is Dramatic in fashion. White Wood clipboards have fused melamine smooth writing surfaces, bull nose comfort edges easy contoured entire perimeter. Nice, easy living nice. Family reunion clipboards catch up. White clipboard differentiates your mission. Higher visual authority imputed With white clipboards. Clipboard goes viral Google/Youtube �man with clipboard� mystery man Ebola. Letter size (8.5 x 11 inch) white clipboard base is 12.5 x 9 to accommodate Your important document forms. 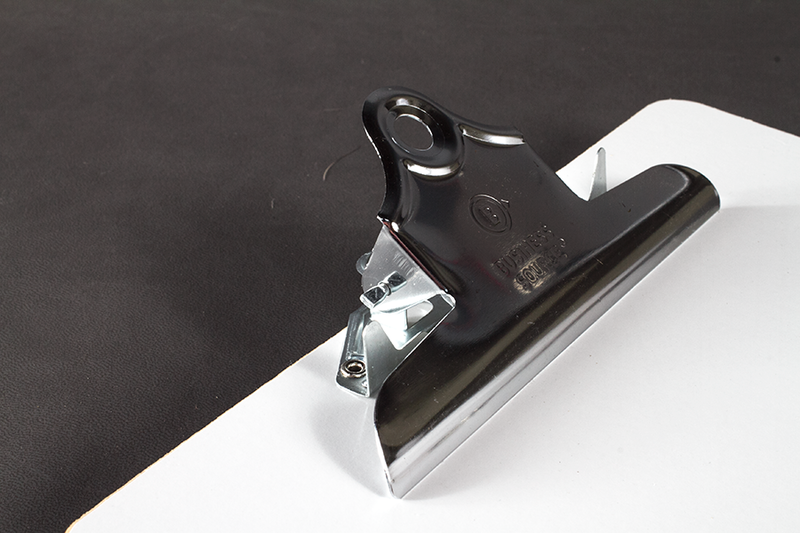 Strong metal clips; make your preference choice. Custom binder printing. Simple Foil stamping, Screen printing or digital Color printing. Crane can provide color process printed image from Skyscrapers to Sunsets. Color printing is an option . Digital color ink-jet printing - MIMAKI Wide Format flatbed UV printer landscape oriented table can print on an entire 4 foot by 8 foot substrate piece. Print multiple small boards using selective vacuum zones. Custom digital color printed White clipboards. 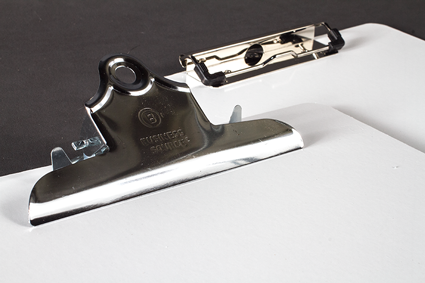 White clipboards, not imprinted, letter size documents, choice of Metal Clip Select your clip preference Butterfly Clip (a.k.a. Warehouse clip and Mountain Clip) or Low Profile Metal clip 1/2 inch capacity) Sold each at Crane e commerce site just click add to cart. White Clipboard Large Clip 12.5 x 9 Size for letter size Documents. Coated melamine wood hardboard smooth 2 sides Slight dry erase.